Daniel T. Lenau, of Hookstown (Greene Twp. ), died Sunday morning, November 20, 2016, in the comfort of his home with his wife at his side. Born October 23, 1948, in St. Louis, Mo., a son of the late Edgar J. and Ruth Otto (Yung) Lenau, Daniel had worked as a project manager at Matthews International. He had received an associate degree in mechanical engineering, and was a member of the Elks and A.O.P.A. He was the beloved husband Nancy M. (Wigham) Lenau; father of David Lenau of Missouri, and brother of Thomas and Kathy Lenau of Missouri, Vicky Lenau and Linda Schnitker. 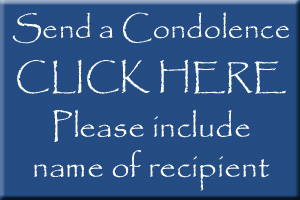 Family and friends are welcome to call Tuesday from 2 to 4 and 6 to 8 p.m. at MCCONNELL FUNERAL HOME, 447 Pine St., Hookstown, PA 15050, where a blessing service will be held Wednesday at 11 a.m. with Father Michael Yaksick, of St. Blaise Parish, Midland, officiating. Military honors will be offered following the service. Cremation will take place and he will be buried in the Jefferson Barracks National Cemetery, St. Louis, Mo. Memorials, in his name, may be made to Promises Never Broken Horse Rescue, 737 Joffre Bulger Road, Bulger, PA 15019, or the American Lung Association.